Poor Battery Woes Got You Down? Qualcomm’s BatteryGuru Aims To Change That! Let’s face it, aside from a few select models, modern smartphones have absolutely appalling battery life. Seeing as how the Smartphone is one of the most used devices in our daily lives, this could of course be less than ideal. 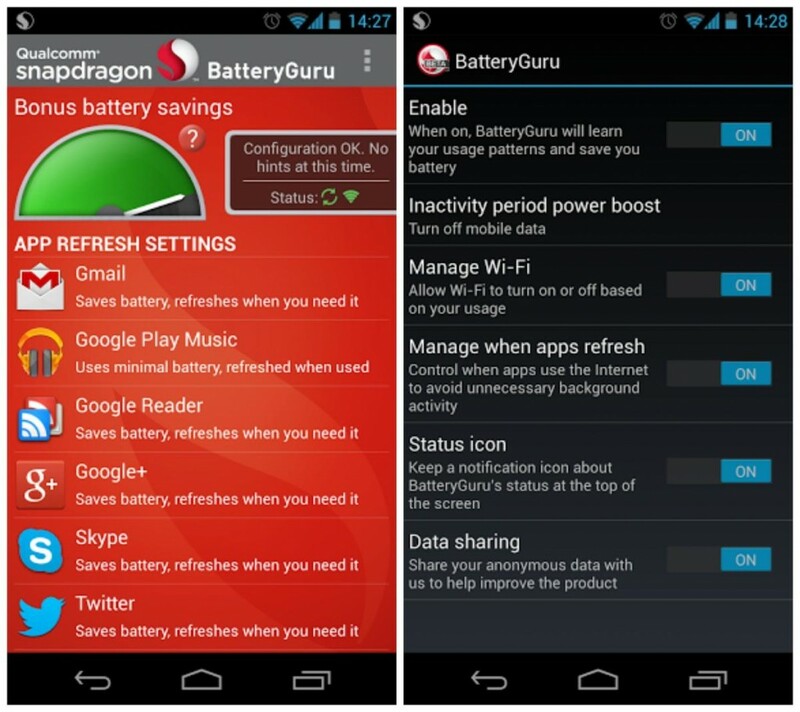 While lots of smartphones now have a “battery saving mode” of sorts (the Xperia Z comes to mind), Qualcomm has released the Snapdragon BatteryGuru, an Android application that monitors what’s going on behind the scenes on your phone and adjusts your phone settings to manage your battery life. From its inception in the Beta stages in February the app has garnered 100,000 downloads and is officially launching today. The app learns from your personal phone habits and devises ways to optimise the battery usage based on that. The Snapdragon BatteryGuru does not require root access and is available for FREE on the Google Play Store for the majority of Snapdragon-powered devices. At the end of the day, if the app leaves you with 10 extra % thats more than a dead phone!